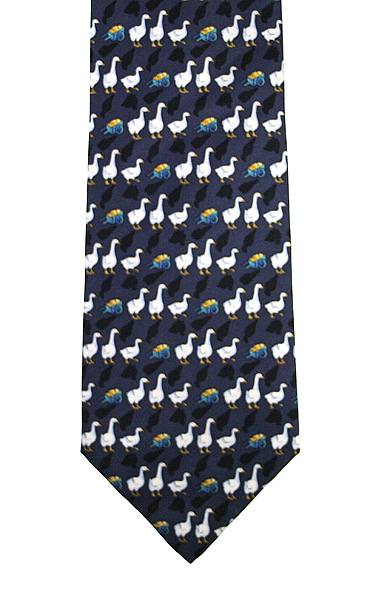 A fun goose tie with white geese and blue wheelbarrows on a deep mauve silk tie. A great gift for anyone who loves this large bird. One of our themed silk ties collection. A fun goose tie with white geese and brown wheelbarrows on a bright red silk tie. A great accessory for the festive season or any other time of year. Clip on trouser braces with a turkey motif.